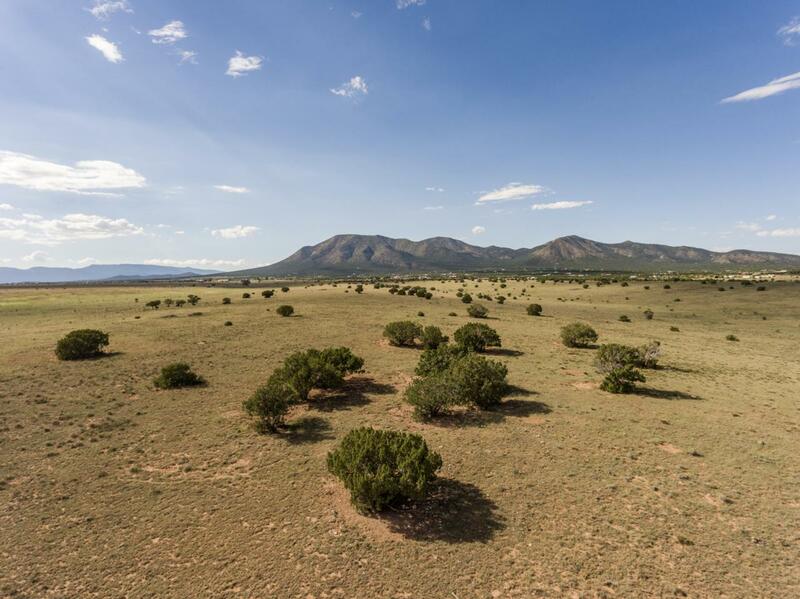 Private Edgewood, Santa Fe County acreage is secluded yet close in with easy access, only 1 mile to paved roads. This grazing land has water pipelines, windmill, and is fully fenced, ready for your horses. Start your recreational ranch right here and enjoy the magnificent views of South Mountain and the Country Lifestyle. Adjacent tracts of 80 to 500 acres are available. Owners would consider package discount. This tract is part of a functioning grass fed beef operation that has been in business for over 20 years. The total ranch is 821 acres, and available as a package.